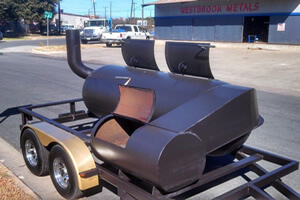 We stock the necessary metal you need to build and create your custom smokers, fire-pits, and BBQ pits. We carry the accessories to finish off your project - spring handles, thermometers, and expanded metal grates for pit grills. Make the Summer Rock! 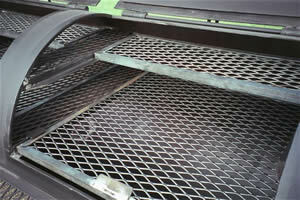 We carry 3/4" #9 flattened expanded metal grating for BBQ pit smokers and grills. Expanded Metals are the preferred surface for outdoor cooking. Easy to weld A-36 mild steel or self-mount 304 stainless steel. Take the guesswork out of your timing and temperatures. 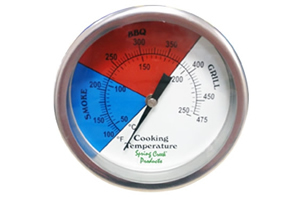 Stainless steel, hermitcally-sealed thermometers for your pits and smokers. Comes with 1/2" NPT threading. 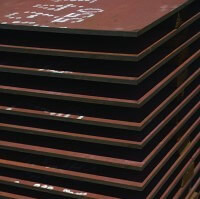 Sheet and plate steel for pit and smoker construction. Many size and thickness to choose from, and we offer custom cutting and shearing to your specifications. 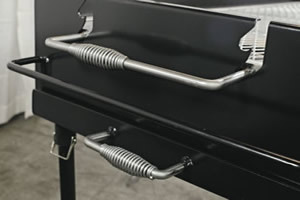 Our nickel plated (chrome look) springs are the perfect touch for your BBQ pit, wood stove, grill, smoker, or firebox. Keeps your handles cool during your cook and provides the finishing touches on your project. 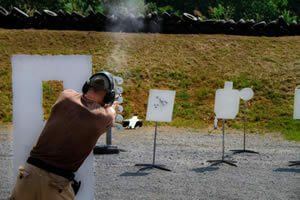 We carry AR500 and AR550 steel sheet, the most preferred steel alloy for building shooting targets.